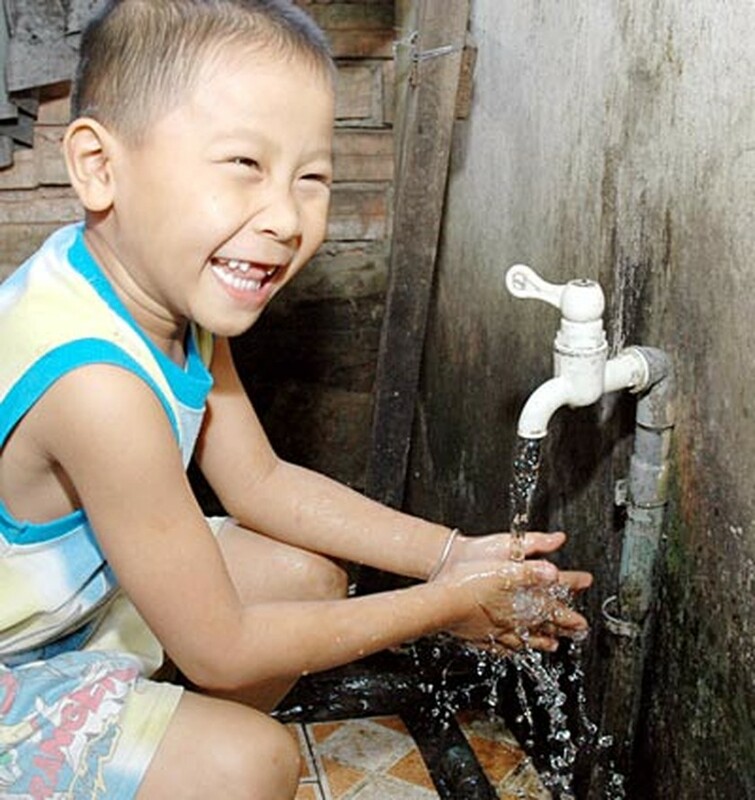 Saigon Water Corporation, or Sawaco, has installed 417km of water piping and 60,000 water clocks, to increase the number of Ho Chi Minh City residents with access to clean water. 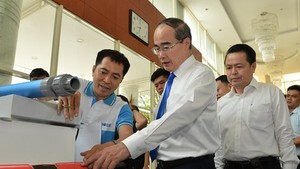 In 2009, 83 percent of HCMC residents had clean water and that will raise to 85 percent this year, said Tran Dinh Phu, general director of Sawaco, at an online talk to customers at Sai Gon Giai Phong newspaper office on May 24. The director addressed hundreds of questions, over two hours, regarding the shortage of water, polluted water and loss, as well development plan of the water supply sector. Sawaco, the southern commercial hub’s water utility provider, is carrying out programs and projects to develop supply capacity and reduce lost water to achieve the targeted ratio of 85% during the period of 2011-2015, said the water company director. Many customers posed questions about supply plans for their districts, which do not have access to clean water. Readers from the Go Vap and Binh Tan Districts wondered when customers in their areas could expect to receive clean water, as two districts lay near the Hoang Mai and Binh Hung Hoa burial-grounds. Meanwhile, another reader emailed asking when Sawaco would supply fresh water to people in HCMC’s Can Gio District. Mr. Phu said the project to supply clean water for Can GIo would be completed by year’s end. The Joint-Stock Water Supplier Company Cho Lon is currently accepting bids for the construction of clean water systems for the Binh Tan District, with the goal of commencing construction by the third quarter of this year. People in HCMC’s district Nha Be still receive water from tanks and barges, but water pressure at some sections of the district will improve slightly. The shortage of water in the district will end only when Thu Duc BOO Water Plant increases its capacity from 100,000 cubic meters to 300,000 cubic meters per day, scheduled to take place by July of this year. Nonresident students who study at educational facilities in HCMC will receive water rations, if they provide the company a photocopy of certificates, which establish household means or photocopies of rental agreements that include water invoices issued by the government. Mr. Phu explained temporary pollution occurs when pipes are rinsed, repaired, or when water service restarts after stoppages, promising to deduct the quantity of polluted water from each month’s bill. Mr. Phu said the company would concentrate on training personnel and the utilization of modern equipment, like the Supervisory Control and Data Acquisition (SCADA) system, automating the chemical pouring process, using new water treatment chemicals, as well strengthening cooperation to improve the quality of the water supply.